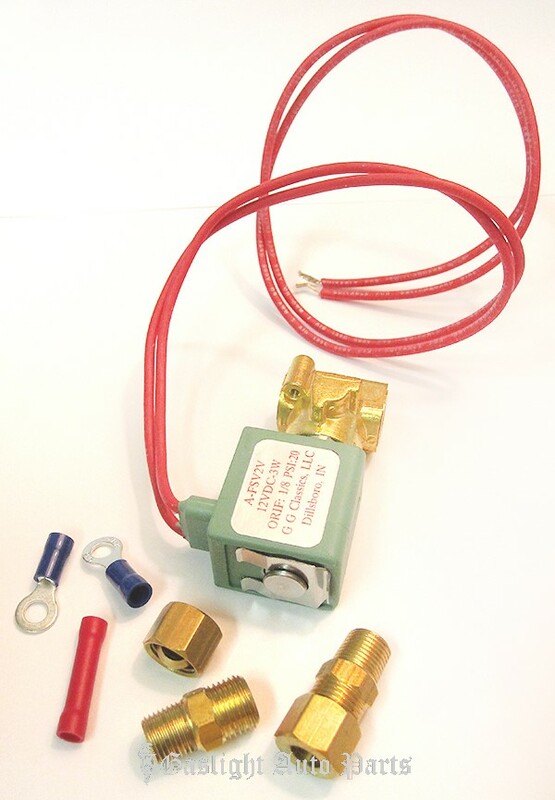 Electric Fuel shut-off Valve. 12 volt. USA. Electro flow system stops dangerous & smelly gas line leaks. Instructions included. Sold individually, 1928-31. Shipping added when packed and weighed.